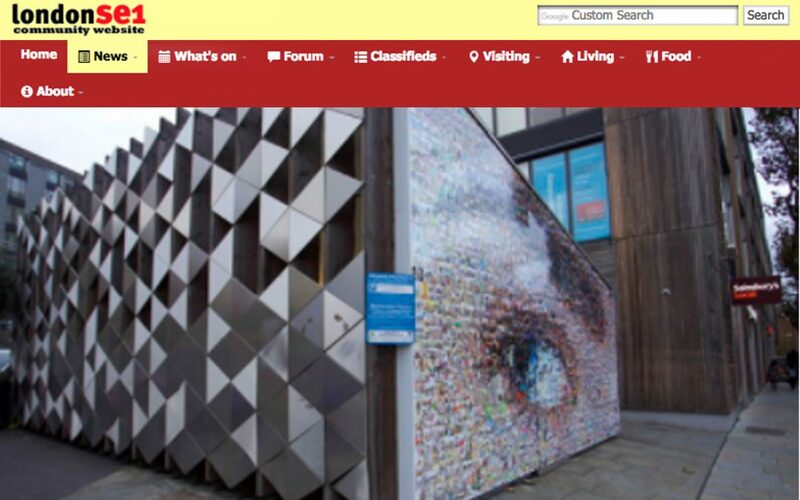 ‘The Eye On The Road’ by digital artistHelen Marshall of the People’s Picture was installed last month on the side of the award-winning Bermondsey Square bicycle store, next to Sainsbury’s Local. The piece is the latest project of the Tower Bridge Road Alliance and was funded by Southwark Council‘s High Street Challenge. Helen Marshall said: “It was a refreshing challenge working on this commission as it is my first street artwork and I think the location will capture the attention of many passers by. “The artwork was composed of many photographs, in particular those of portraits of people who live and work in the area. These present day portraits are juxtaposed with faces of history, kindly gathered and lent by Southwark Council‘s heritage department. “The artwork is an iconic eye looking towards the south end of Tower Bridge Road, an area of colourful businesses, shops and people.